Charbonneau was a particular individual, the least liked of all the members of the Lewis and Clark expedition. Lewis referred to him as “a man of no peculiar merit”. 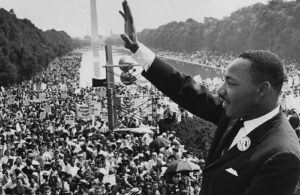 Historians have portrayed him as a coward who hit his wife and had a particular attraction to young Native American girls. He is referred to as Mr. Sacagawea. 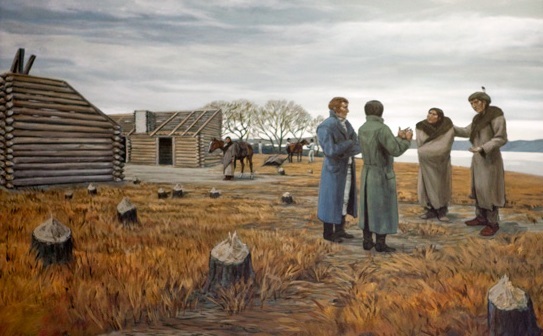 Picture of Toussaint Charbonneau introducing his wife Sacagawea to Lewis and Clark. Toussaint Charbonneau was born around 1767 in Boucherville, Quebec; a city near Montreal. 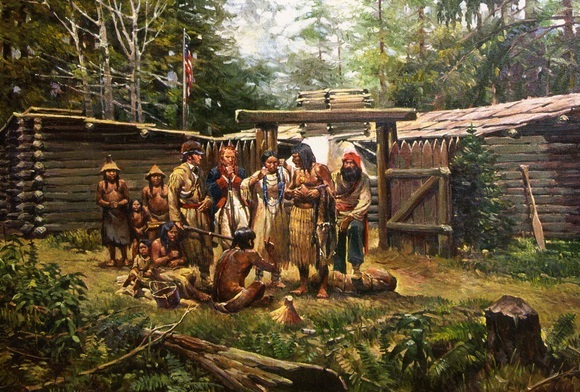 Charbonneau was a free trader who obtained goods on credit and traded them with the Indians. In 1796 he moved to present day Bismarck, North Dakota on the upper Missouri River and settled among the Hidatsas and Mandans. He adopted their way of life and lived in their cluster of earthen lodges. 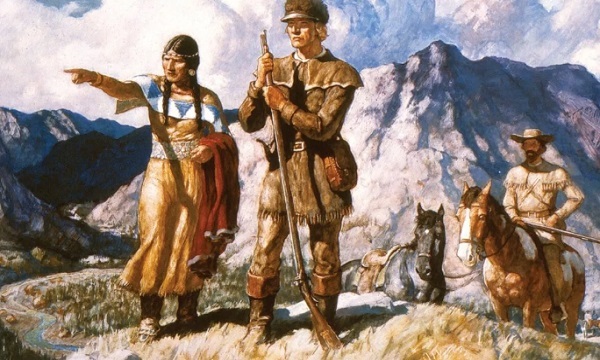 In 1804 when the Lewis and Clark expedition arrived at Fort Mandan Charbonneau had two Shoshone wives, one was Sacagawea or “Bird Woman” who was about 16 years old and the other was “Otter Woman”. He had purchased them from the Hidatsas. The following day, March 12, Charbonneau declined the job offer. Regulations of his employment with the Corps dictated that aside from interpreting he had to perform duties that all other men in the expedition were expected to perform such as standing regular guard. The expedition departed from Fort Mandan on April 7, 1805. Charbonneau took Sacagawea and his 55 day old son Jean Baptiste. Almost immediately after departure Charbonneau proved to be a great cook but a poor swimmer. In one occasion, just a few days after their departure they were hit by a wind storm and the boat in which Charbonneau was travelling almost capsized. His lack of boating and swimming skills led to almost loosing important documents, equipment, medicine and trade items. If it had not been for Sacagawea who reacted fast all those items would have been lost forever. The expedition reached Shoshone lands on August 1805. Sacagawea recognized the Chief as his brother Cameahwait. Clark and Lewis negotiated very much needed horses with the Shoshones through Sacagawea and Charbonneau. The expedition reached the Pacific Ocean on November 1805. They spent the winter at Fort Clatsop and departed on their way back on March 1806. Charbonneau and Sacagawea arrived at the Mandan Villages on August 1806. Charbonneau was paid $533.33 and a land warrant for 320 acres. During the journey Clark had grown fond of Sacagawea’s and Charbonneau’s son, Jean Babtiste or “Pomp”. Clark even offered to raise him as his own child and pay for his education. Read letter to Charbonneau. 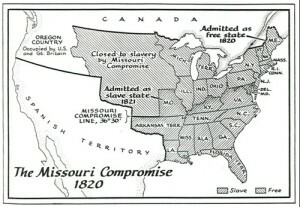 They lived with the Mandans for the next three years until Charbonneau decided to move to Missouri where he claimed his 320 acres of land. Used to the frontier land Charbonneau did not get used to a life working the land. In the Spring of 1811he sold his property to Clark for $100 and Jean Babtiste was left under his care. “Pomp” was enrolled in a boarding school. Charbonneau found employment with the Missouri Fur Company and was stationed at Fort Manuel Lisa, South Dakota. Here is where Sacagawea died on December 20, 1812, a few months after giving birth to her daughter Lizette. 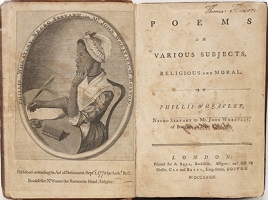 She contracted putrid fever or typhus, a disease spread by flees and treatable with antibiotics. Charbonneau was away in an expedition with his company when Sacagawea died. 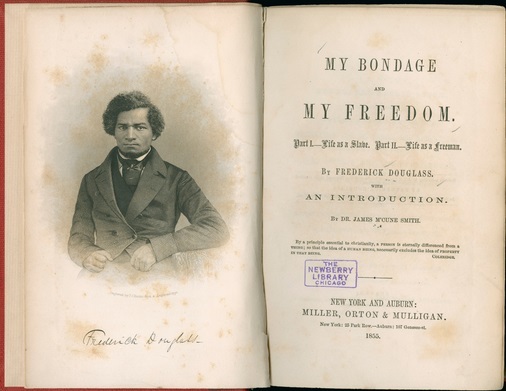 Clark was awarded the custody of Lizette and Jean Baptiste, who was already enrolled in a boarding school. From 1812 to 1838 Charbonneau took on many jobs. After working for the Missouri Fur company he took employment with competitor American Fur Company. Clark became Superintendent of Indian Affairs and hired Charbonneau as an interpreter for government officials, explorers and visiting dignitaries such as Prince Maximilian of Wied, Germany. It is believed that Toussaint Charbonneau died in 1840 in Fort Mandan.